Twin Oaks Nursing and Convalescent Home is dedicated to providing specialized rehabilitation and skilled nursing services in a caring, comfortable, and clean environment. Our dedicated Rehabilitation Unit, located in an exclusive part of the facility, is designed for those discharged from the hospital, but require short-term skilled rehabilitation and nursing services for a successful transition back home. Our team consists of highly-trained rehabilitation and nursing staff with a focus on short-term transitional goals, as well as long-term quality of life needs for permanent placement. We believe the best outcomes in healthcare occur when you care about individuals, just as much as you provide the needed services for them. Twin Oaks Nursing and Convalescent Home features Maison Oaks Assisted Living Apartments that offers options to seniors who no longer wish to live alone, or who need some assistance with daily activities. Designed with an elegant flair, Maison Oaks offers a gracious senior lifestyle in a comfortable and secure environment that encourages freedom and independence. 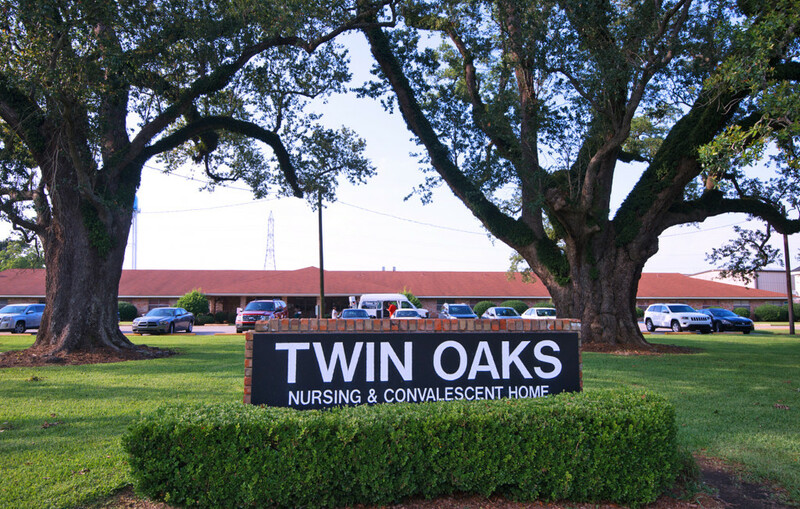 Twin Oaks Nursing and Convalescent Home has been serving St. John Parish and the Greater New Orleans area since 1975. We are centrally located in the heart of Laplace, Louisiana. Our mission is to provide the highest quality of medical care and rehabilitative services, coupled with our concern, aim and focus on extending excellent customer service. Twin Oaks Nursing and Convalescent Home accepts Medicare, Managed Care, Private Insurance, Private Pay, and Medicaid.